Each of the trainers has more than 30 years experience in the industry and are recognised nationally and internationally as leaders in the field. Ann is a leader in educational innovation who has developed paradigms of understanding based on timeless Eastern philosophies. For over 25 years she has worked with others to guide them in expanding their knowledge of themselves and life, through individual consultations and trainings. 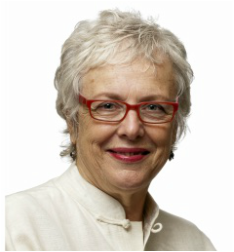 Together with Robyn Fernance she played a leading role in developing the government accredited Breathwork Training, and the first government registered trainings organisation focusing solely on Breathwork trainings. Robyn is a metaphysician, educator and author of the highly acclaimed book ‘Being Born’, translated internationally. She is a leading authority on birth memory and its effect on learning and performance. She is a highly experienced Breathwork & Kineisiology practitioner and trainer.